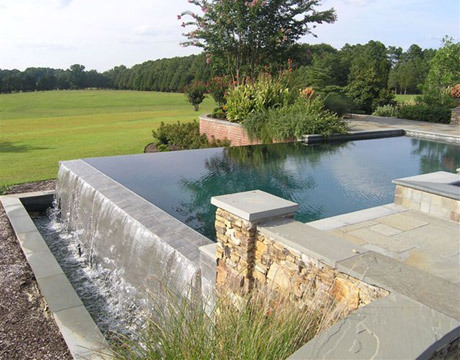 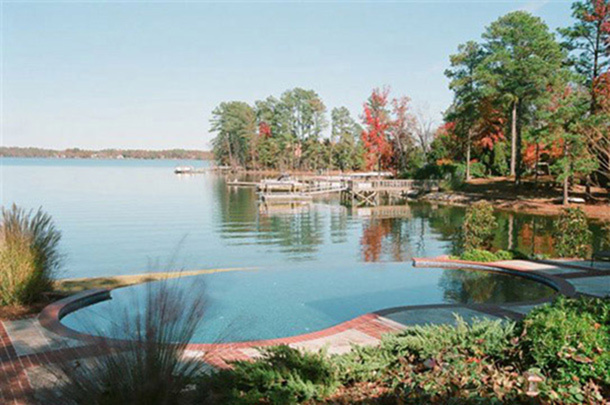 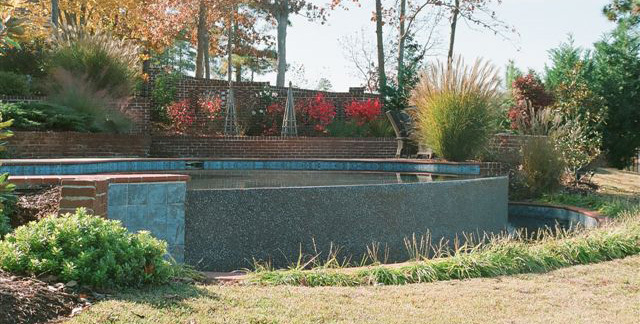 This pool measures 16’x36′ and has a tanning ledge, raised bond beam with a water feature and a negative edge. 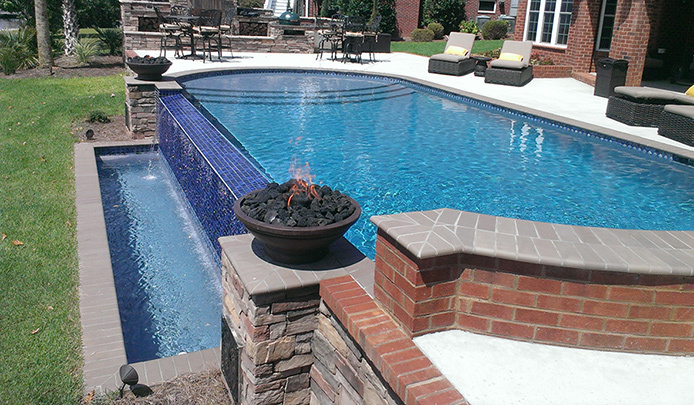 The coping is Cobblestone by Carolina Ceramics and the tile is Martinque by National Pool Tile. 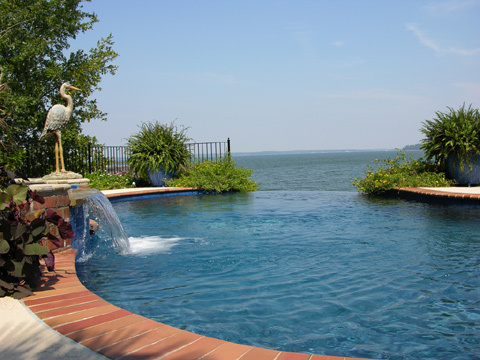 The deck has a rock salt finish and the wall around the infinity edge is country ledge stone.